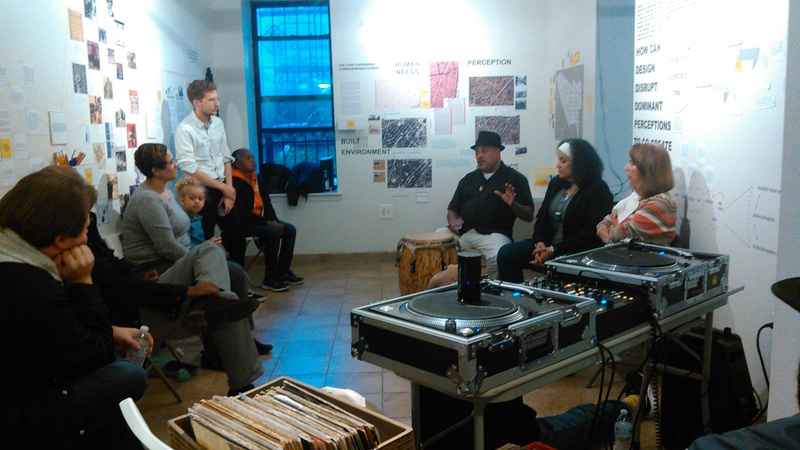 The Laundromat Project is excited to announce the launch of our Kelly Street Collaborative Community Artist Residency, a three-month site-specific residency in which Bronx-based artists are invited to work in our Kelly Street Collaborative space at 920 Kelly Street. Artists-in-Residence create an exhibition based on their work in the community. More information here. At a time in which budget cuts to the New York City Housing Authority (NYCHA) and structural changes are altering the path of public housing, “The Big Rethink,” by The LP’s inaugural Kelly Street Community Artist in Residence Designing the We, challenges us to find novel approaches to reclaim our spaces and humanity. This installation is anchored in participatory design process, which emphasizes respectful relationships, information-sharing, and solution-building sessions with people as a way to galvanize change through design. 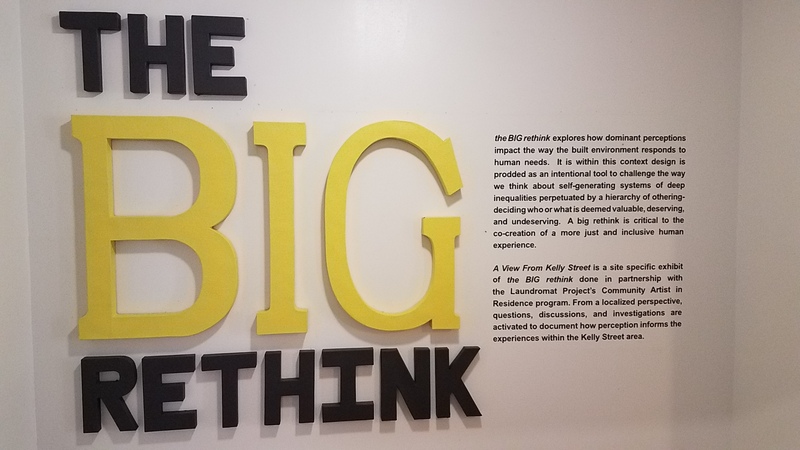 Visitors are encouraged to recognize the interconnectivity between environment, people, and ideologies of perception through carefully crafted questions asking us to reflect on our neighborhoods, histories, and experiences. 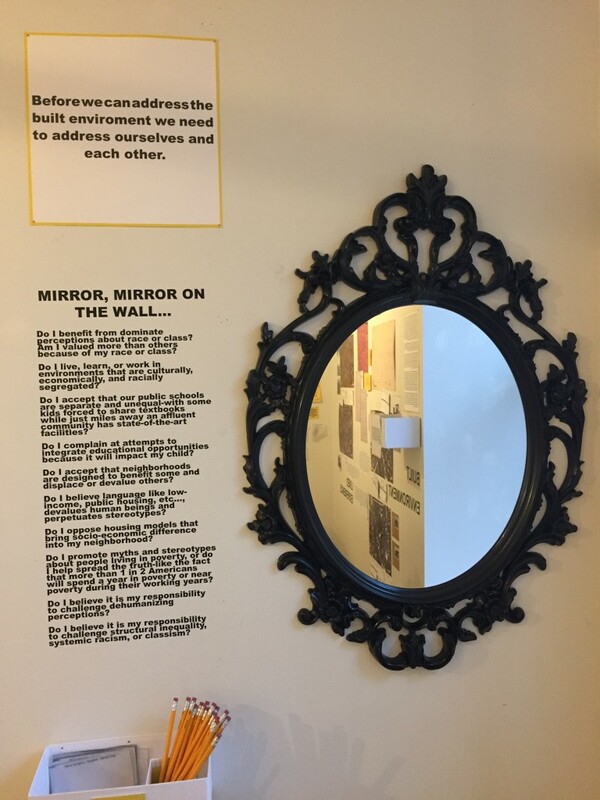 A strategically placed wall mirror stands out with prompts asking for us to look in and outside of our lives for the most rewarding answers to questions of equity and justice. The Big ReThink’s public programming consists of storytelling activities through music and performance as well as documentary-film screenings and dialogues, capturing community sharing as intricate to any design process. The Big Rethink is on view from November 2017-January 2018. 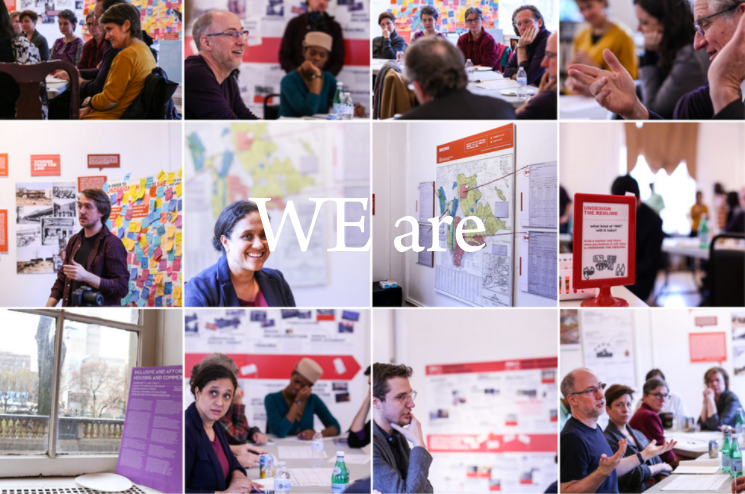 Designing the We, co-founded by April De Simone, is a for-benefit design studio positioned within the fields of social innovation and community driven social, cultural and economic development. DTW facilitates collaborative processes to redefine how big picture systemic challenges are approached, identify opportunities for action, and co-design more holistic and resilient strategies centered on positive transformation. April de Simone is a social advocate and entrepreneur with a penchant for creative community-based problem-solving across the non-profit, private, and government sectors. A Puerto Rican-Italian Bronx native, she complements her knowledge of the community with a design background rooted in her degree from New York University and Master of Science in Design and Urban Ecologies from Parsons the New School for Design. She also founded and chairs the New York Metro Chapter of the Social Enterprise Alliance (SEA), a network of entrepreneurs and organizations supporting community change through market-based solutions. Her work as founder and partner of kreatealamode and Access the Change, and previously of the Bronx boutique and wellness spa Urban Starzz, channels the faith April has in the ability of social ventures and the participatory design process to cultivate seeds of revolutionary design.